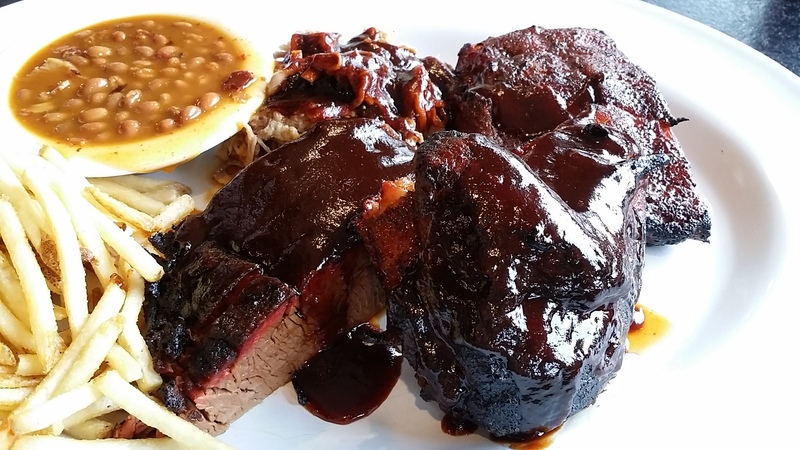 “If it is not smoked, it’s not BBQ.” This is the credo at the top of each page of Brett’s web site and on their menu. I love that they proclaim it loud and proud. It’s true as I keep saying in most of my reviews. But I’m still having to preach the BBQ gospel to so many, because every time I bring this up to anyone I’m talking BBQ with, they always say….”Really? I didn’t know that.” So it bears repeating. BBQ is low and slow cooking of meats. Grilling is direct heat and not smoked. BBQ uses wood and Brett’s uses the popular Hickory wood. Grilling uses charcoal and lighter fluid….not a very good taste really, even though that’s how I was brought up. We grilled and I loved it. Until just a few years ago when I had my first true smoked BBQ meat for the first time. World of difference. I’ve been meaning to get in this place for a long time. My kids live in Encinitas and we’ve been trying to get over here and my son said he liked their pulled pork sandwich, which all he had here so far. With his two kids under the age of 3 yrs old, it hasn’t been easy to go to restaurants. But we made it over to Brett’s recently and I’m glad we did. 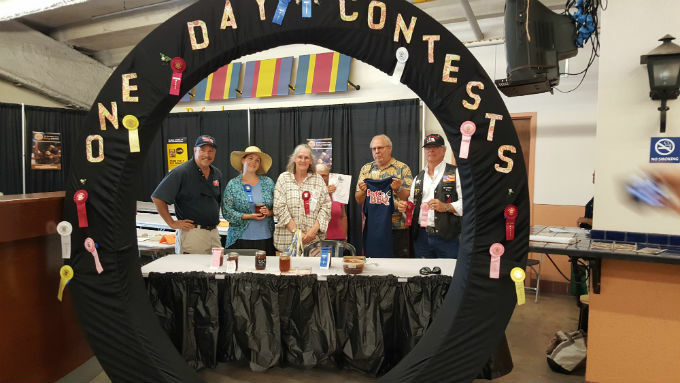 I first met one of the owners, Bruce, last year when I was judging the Brett’s BBQ Sauce contest for amateurs at the San Diego County Fair. Brett was there the day we went and was a super nice guy. I asked him if it would be ok to shoot a short video with him and check out his smoker. He is from the mid west, so he has sampled enough great BBQ on his own growing up. 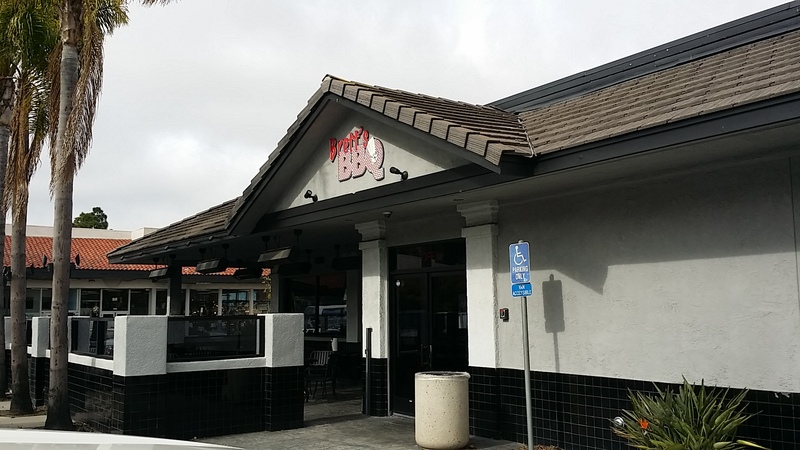 He’s been a chef in San Diego for 30 yrs and finally decided to start a BBQ restau with his buddy Bruce. We walked in during lunch time on a weekday and it was pretty empty. And what made it look even more empty was the place was enormous! And super clean looking. That was very nice to see. I joked with the lady behind the ordering counter about the lack of people and she let me know how packed it is at dinner time. They have lines going way back waiting to order. She seemed like such a sweet Grandma type that I had to ask her if she was related to the owners, but she said no. I ordered the BBQ Sampler Plate for $25. You get a few slices of brisket, quarter chicken, a couple of ribs and some pulled pork with two sides. I wish I had known to ask for it dry because it was drowned in sauce. A pretty yummy sauce mind you, but not what I want these days. As I used to lay claim to being a saucy girl and still do love my sauce, these days I like it for dipping to add even more flavor, but when the meat is so spot on, most of the time it doesn’t even need any sauce. And I’m thinking their meats would do just fine without it. Yes, you can ask for it wet or dry. Wish the counter or servers everywhere would ask us this question when we order. At least they make a sauce the way I like it here. Dark in color with a molasses imbued, smoky flavor. The brisket had a nice smoke ring and a delicious flavor. When I mentioned to Brett that I thought the brisket was a bit dry, he said he would love to serve the fattier cuts, but Encinitas is very diet conscious and that fattier stuff wouldn’t go over well here, so they trim all the fat off (???!!!). Geez, who goes into a BBQ place on a diet?! Not me! Brett says they smoke their brisket for 16 hours, or until it “gives up,” in Brett’s words. Brisket is a tough cut of meat and needs a long cook. 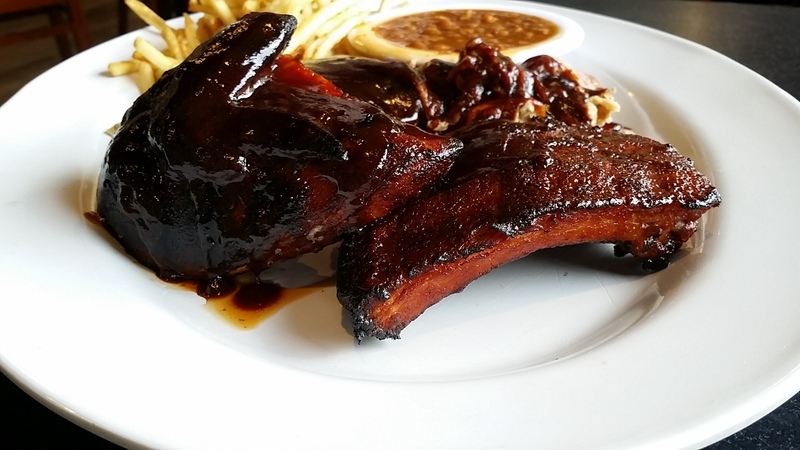 The ribs were tender and pulled away easily from the bone. Chicken was also quite tender, but that pulled pork was super moist and might have been my favorite cut of meat from Bretts. Chicken and ribs get about four hours in the smoker. Pork shoulder also gets about as long in the smoker as the brisket does. They also have a kid’s menu and my grandson (Mr. Picky!) loved their chicken fingers. 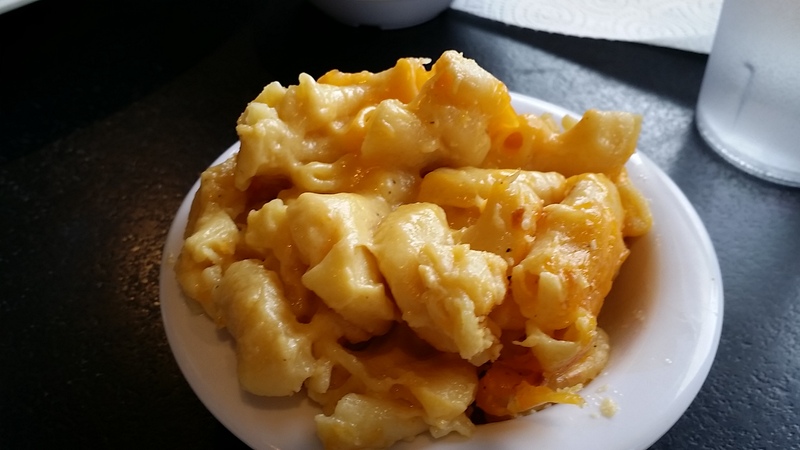 For side dishes I ordered their mac ‘n cheese which I definitely liked, french fries which were crispy and hot and an order of their beans. Not my favorite beans I’ve had, but pretty darn good. 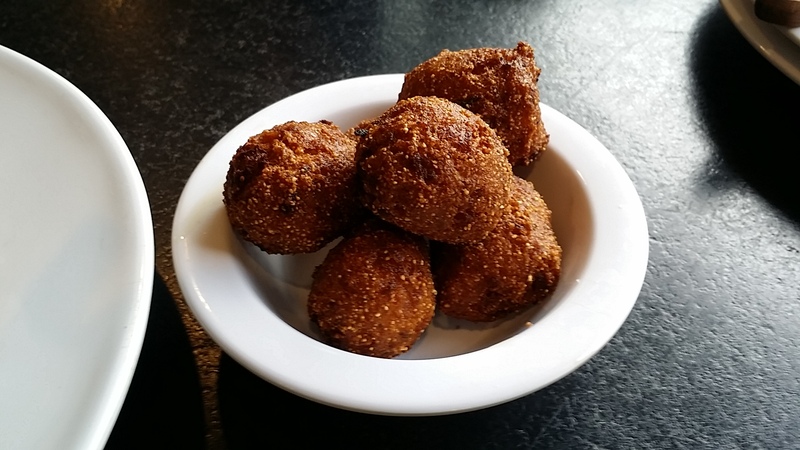 I also ordered a side of their hush puppies which were quite dry and benefited from being dipped in their BBQ sauce. Next time I’ve got to try their corn pudding. I usually love that dish. 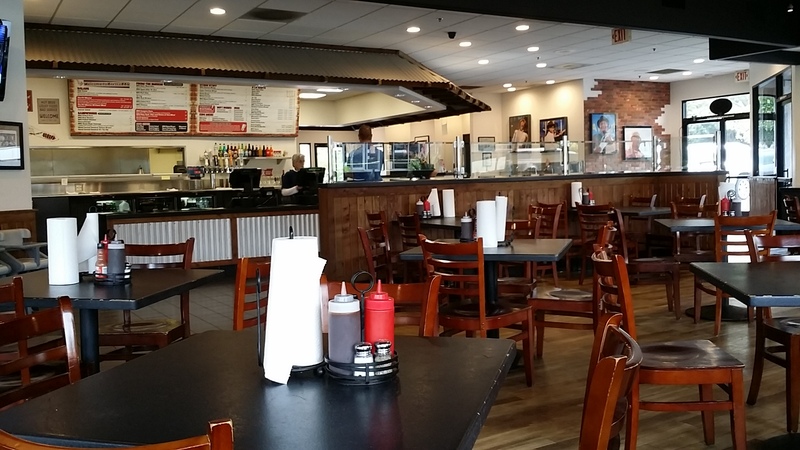 They also serve BBQ or Cajun style chicken wings, sausage, Turkey, pulled chicken, Tri tip, burgers, brisket sandwiches, onion rings, baked potatos and salads. 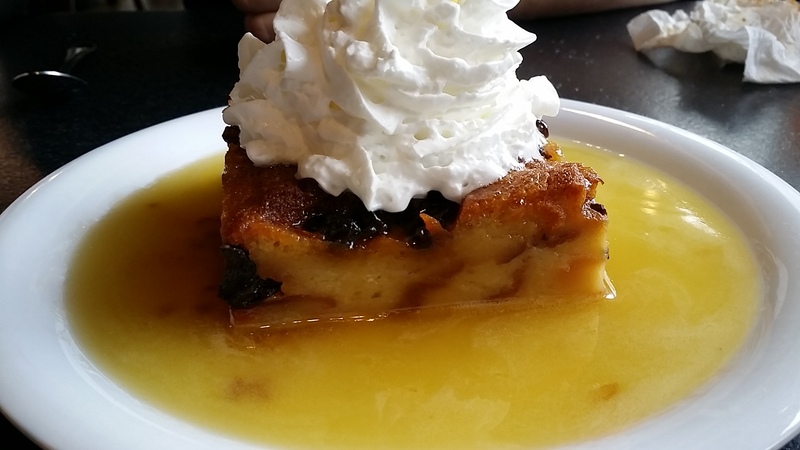 Brett was kind enough to bring out a their signature bread pudding with whiskey sauce for us to try. Now that was a tasty dessert with a very strongly flavored sauce! I was so stuffed, I was only able to handle a bite or two. Counter service only. They also do catering.